There, they hope to witness the historic passing of the Crystal Comet at a hair-raising gala and monster skull-ebration. But comet fever brings with it a new freaky fabulous beast friend -- Astranova™, daughter of Comet Aliens! Having traveled for light years to get here, she's totally out of this world with the ability to float within her monsterrific playset. 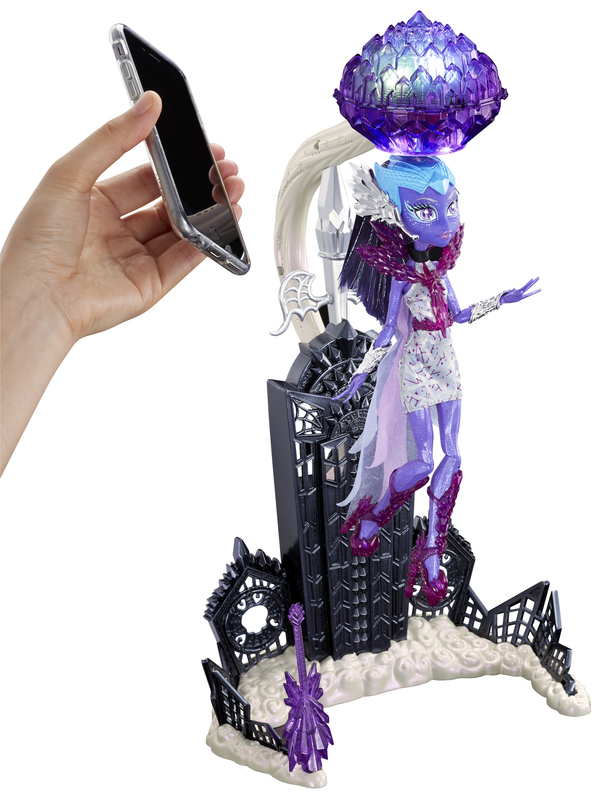 Ready to shine brightest in the universe, she comes with her own dance party playset that features the skyline of Boo York City with an amazing light show for a really frightful effect! Fans can play out the monsterrific moment in the movie when the comet touches down in the city. Suspend Astranova™ doll under the comet to watch her really float above the Boo York City skyline! Then play your favorite song for an amazing display with a light show that flashes to the beat (neither music player nor music are included). It's scary cool! Astranova™ doll shines in the spotlight wearing a shimmery dress with dramatic accents, to-die-for shoes and scene-stealing accessories. Give the doll a turn while levitating to see her spin. Use her guitar to adjust her orbit. Tweens will love recreating the much-anticipated scene in the movie! 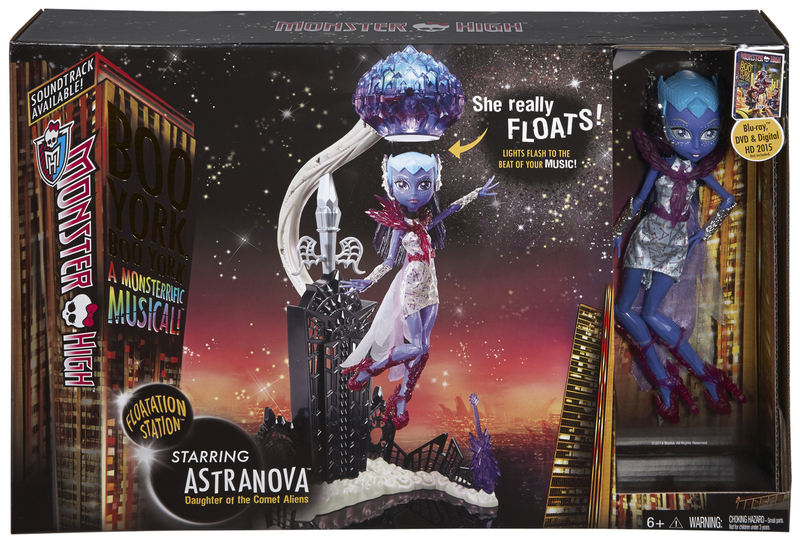 Ready to shine brightest in the universe, Astranova™ comes with her own dance party playset that features the Boo York City skyline with an amazing light show for a really frightful effect -- play out the monsterrific moment in the movie when the comet touches down in the city! Suspend Astranova™ doll under the comet to watch her really float above the Boo York City skyline! Play your favorite song for an amazing display with a light show that flashes to the beat (neither music player nor music are included). Give doll a turn while levitating to see her spin -- use her guitar to adjust her orbit. Astranova™ doll shines in the spotlight wearing a shimmery dress with dramatic accents, to-die-for shoes and scene-stealing accessories. Collect all of the Monster High™ Boo York dolls for a full cast of ghoulish characters (sold separately).